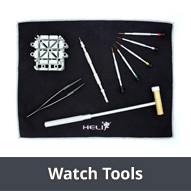 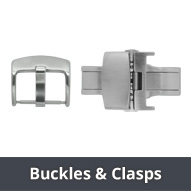 Replacement Watch Bands suitable for IWC Watches - Here in this category you will find a range of watch bands suitable for wrist watches from the brand IWC. 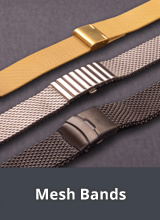 The watch bands offered in this section are not original replacement watch bands, but good quality watch bands from third party manufacturers. 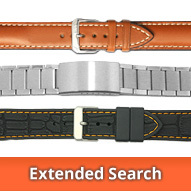 PLEASE NOTE: We currently cannot offer original replacement watch straps for IWC watches. 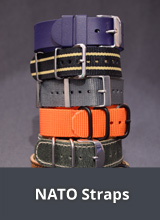 We continue to look for opportunities to increase the number of watch bands suitable for IWC in our collection and are always increasing the amount of watch bands available. 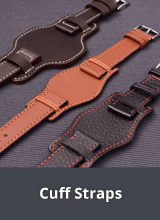 If your watch does not have a special attachment or cut out lug ends, then you should be able to take advantage of great range of watch bands and straps across our website. 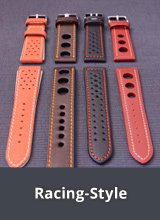 Simply choose a suitable watch band in the lug width you require. 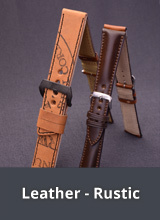 All listed trade marks, trade names and service names are the property of the respective owners and are used for identification purposes only. 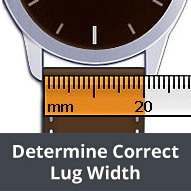 For watch bands in various designs suitable for IWC wrist watches, sorted by lug width please click on the following categories!